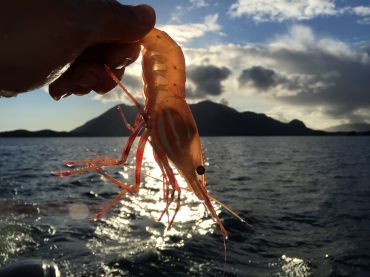 Tofino Fish Guides Ltd. offers premium saltwater charters and unique freshwater fishing experiences in the beautiful waters around Tofino, BC. We take pride in providing exemplary service on our luxury vessels equipped with high quality fishing gear. Tofino Fish Guides is a strong supporter of salmon enhancement and habitat protection on the west coast of British Columbia. 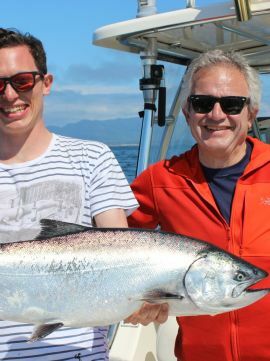 Whether you are an experienced angler or fishing for the first time, we will ensure your Tofino fishing charter is customized to meet your needs. 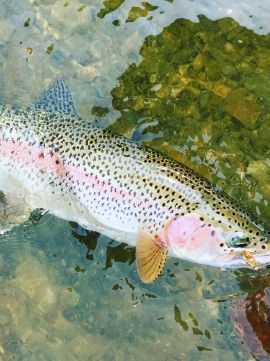 Fish the offshore water for halibut and salmon or enjoy the beauty of a pristine mountain river on a float or Helicopter fishing trip. Pursue Coho salmon on the fly in Clayoquot Sound or learn to fish on a scenic family fishing tour. 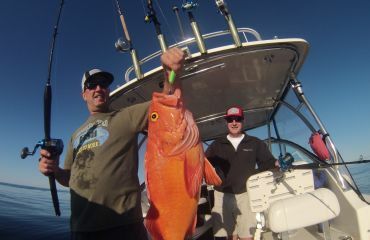 There are so many exciting opportunities near Tofino that multiple fishing days are recommended! Tuna fishing is an exciting emerging fishery on Vancouver Island. 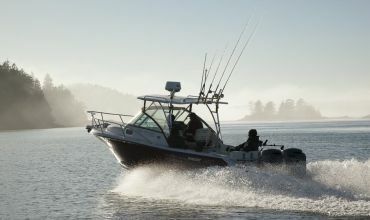 Our guests get the chance to target salmon, halibut, bottom fish and crabs during full and half day fishing charters aboard Tofino's finest sportfishing boat – our 27' Pursuit offshore vessel. Chinook Salmon Fishing Open in Tofino. Chinook Salmon fishing will remain open this spring and summer in the near shore coastal waters of Clayoquot Sound Tofino. Normal regulation (2 per day, 4 in possession) will be in place in all waters after July 14th (including all offshore, normal August regulations are expected). From April to July 14th waters inside Clayoquot Sound and near offshore will be 2/4 Chinook respectively. This represents a good fishery for Tofino on an annual basis as herring, squid and needle fish are present in abundance. The science is sound that Fraser River Chinook do not travel near shore on the West Coast of Vancouver Island. The DFO model showed zero impact to Fraser Chinook in our near shore waters and zero impact in Offshore waters after July 15th. Looking to get out on the water this April? 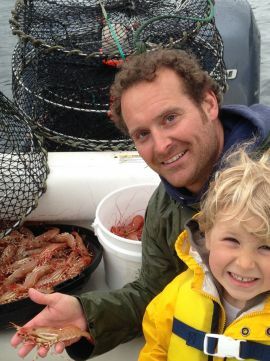 Try our half day private charter and mix Prawning, crabbing with salmon or bottom fishing. Its a great way to see the area, check out local the wildlife and take home a feast of fresh seafood. Give us a call for pricing and details. Good news for the Public Halibut fishery. A hybrid model has been accepted allowing anglers to choose between a single fish 90 -126cm (60lbs max) or 2 fish under 90cm (1 per day, 2 possession). 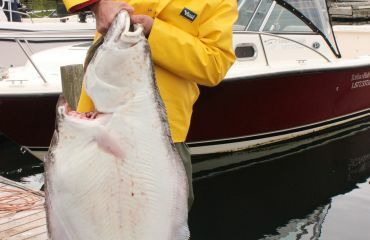 Halibut is managed on a quota (pounds/year) basis. The Pacific halibut commission determines the quota, DFO and the Public Fishery Advisory Board determines how the Public fishery distributes the quota among anglers. 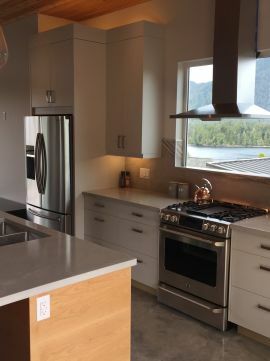 Salmon, Prawns, Crab and Steelhead, there is no need to wait for summer to get our and enjoy a day on the water. Catch a fresh seafood dinner, view the whales as they return to the north and maybe even hit the local hot springs for a soak. September is arguably the best weather month of the year in the Tofino. The summer fog and westerly winds dissipate while the North Pacific winter low pressure system has yet to grip the region. The fog is in and so are the Chinook Salmon (Kings). 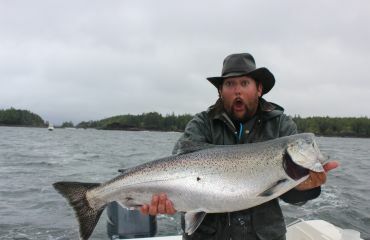 Your best chance at a 'Tyee', a 30 pound plus Chinook, is almost certainly during the month of August.